H.E.R.’s “Volume 1” EP arrived in 2016, and the vibes haven’t stopped flowing since. 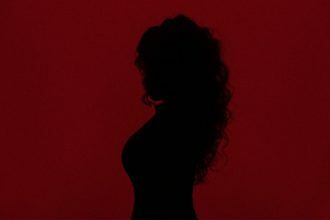 Having already dropped off the follow-up in the form of “Volume 2”, we get a minor trip down memory lane as she gifts us with the visuals in the form of the official music video for ‘Focus,’ originally found on the first project. Check it out now. 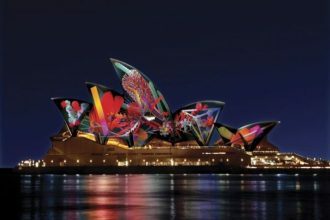 Sydney’s annual Vivid Festival has unveiled its massive 2018 music lineup, topped by the likes of Solange, St. Vincent, Ice Cube, Cat Power and Daniel Johns & Luke Steele’s collab project Dreams. Click the photo above for the complete line-up and details on where to grab tickets. The One and Only Solange Has Been Announced as the First Act for #VividLive2018!! 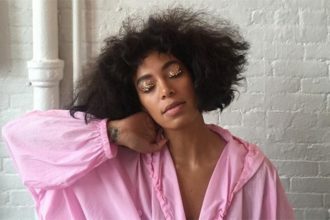 Solange has officially been announced as the first artist for #VividLIVE at Sydney Opera House 1-4 June, as part of #VividSydney. Click through for further details! QUICK! Vivid Sydney Just Announced A Massive Line-Up for 2017! 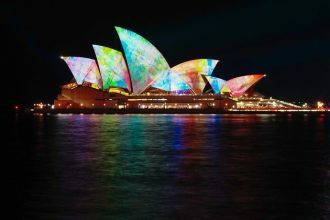 Save The Date: Vivid Sydney, one of the most spectacular light shows in the world, is set to impress again when it returns to Sydney for 23 nights from Friday 26 May to Saturday 17 June 2017. Click on the pic above (photographed by Michelle Blazevic for The 5 to 9 Life in 2015) for more details. 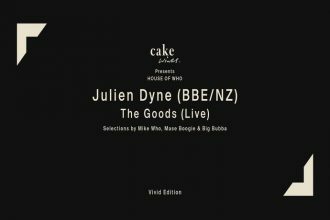 After a brief hiatus with GoodGod closing down, The House of Who curated by Sydney’s Mike Who and friends is returning with a Sunday session this weekend for Vivid Live at the new Cake Wines Cellar Door, featuring New Zealand based drummer and producer, Julien Dyne (BBE) and local funk artists The Goods. The Vivid 2016 Line-Up Has Been Announced! The 2016 Vivid program in Sydney includes Spike Jonze, Björk, Bon Iver, Antony and the Johnsons and so much more. 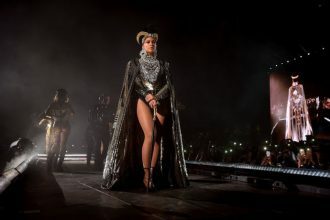 It’s a line-up that cements the festival’s reputation globally. The festival runs from May 27 to June 18 and tickets are on sale now. ^Above photo captured by Michelle Blazevic. 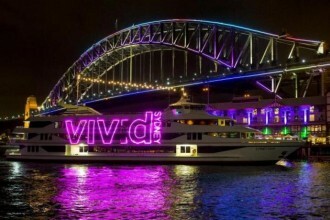 This year, I didn’t get to really experience the lights at Vivid Sydney as much as I would have liked to. If I had an event on during the week, I would check out some of the installations nearby, but it wasn’t as extensive as I have been able to do in previous years. 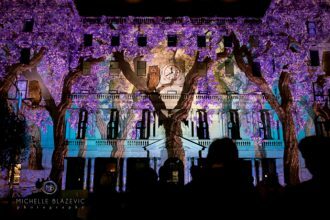 Luckily, my friend and workmate Michelle Blazevic offered to go and capture what she thought was the best from Vivid Sydney 2015. Click the link to see her best photos! 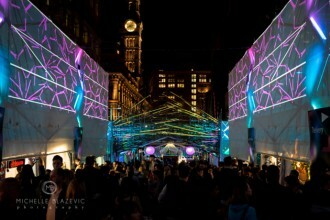 Photo above: ‘Transcendence’ at Martin Place. 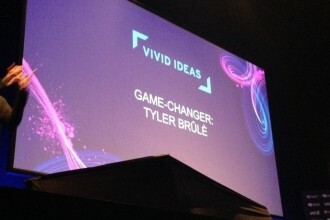 Vivid Ideas Explored Why Tyler Brûlè Is Considered A GameChanger. Earlier this week, Monocle magazine’s founder and editor-in-chief Tyler Brûlé made an appearance at Vivid Sydney’s Game Changers talks series: Conversations with Global Creative Industries Leaders – and The 5 to 9 Life was there, front row, to capture all the action. Sydney’s annual lights, music and ideas festival, Vivid Sydney, is back on again this year from 22 May – 8 June 2015. For 18 days, creative practitioners, corporate professionals, families and people of all generations take advantage of Sydney’s mild winter weather and engage with a truly spectacular event.